Looking through the pictures of this Finnish apartment is like taking a deep breath in, counting to three and a long exhale! The whites, light greys, and wood (love the white shelves against the light wood) create a calming, light and airy feel. I would need to add more rugs for the cosy factor (which I'm discovering are the hardest thing to buy - does anyone else find that?) but other than that I could totally spend a few days here, how about you? For more information about this beautiful home (and many more beautiful images) check out the MUSTA OVI blog (in Finnish). Trust me, you'll get lost there! Lovely apartment! Love the light and woodish against the black details!!! Me encanta la estantería de madera con la vajilla súper ordenada. Amazing!! We love these pictures! I'm really struggling with rugs for my new loft. It is such a huge space and of course I want all the beautiful wool rugs that cost a fortune! 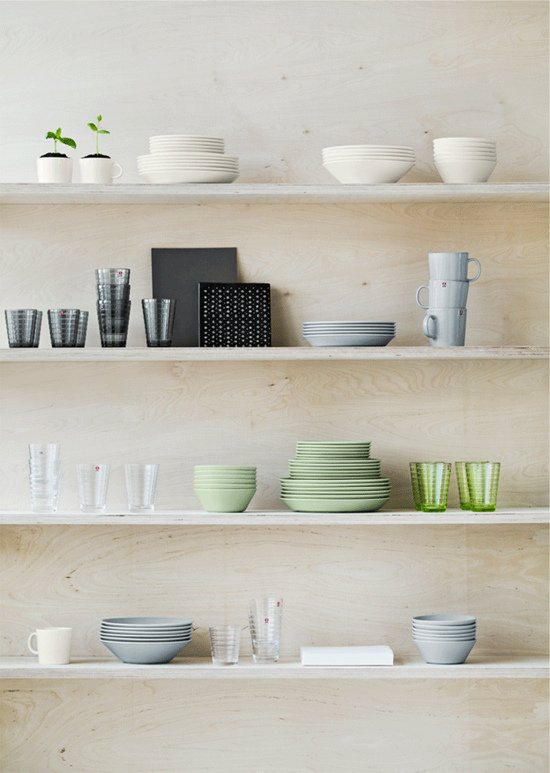 My favourite thing is definitely the white shelves against the wood, as well as the tableware on the shelves! That black stripe down the kitchen table brings so much contrast and geometry to the space. 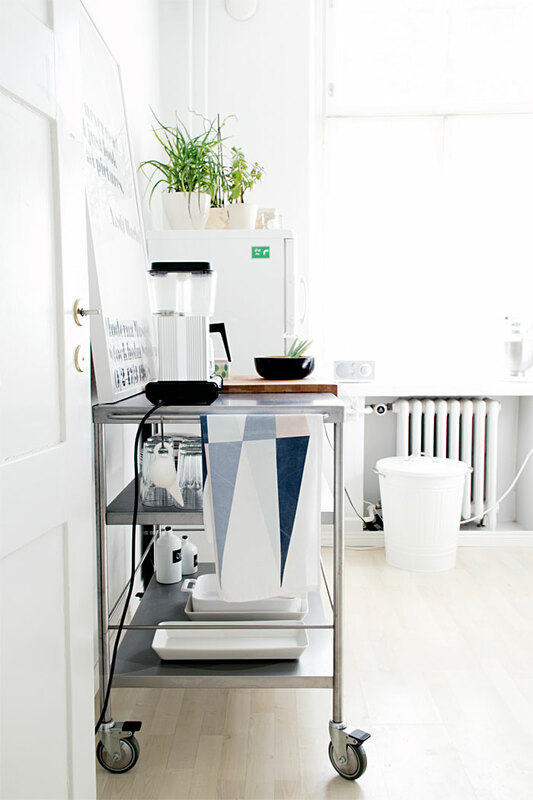 I'm really thinking the idea is a great DIY for people looking to add an artsy flair to their kitchen! Wow, I totally love the first and last picture, my favourites? The bedside lamp and tehe posters above the bed! Wow!